This Mayan Princess vacation rental one bedroom unit on the first floor features the tile floor throughout the entire unit. Completely remodeled and updated, this one bedroom first floor condo has unique floor plan that includes handicap accessible features and a private bath and private bedroom. Beautiful one bedroom vacation rental on first floor overlooking three beautiful lagoon style swimming pools with direct entrance to the pools. This beautifully decorated condo has a king size bed, two bunk beds; a brand new queen-size sofa sleeper. 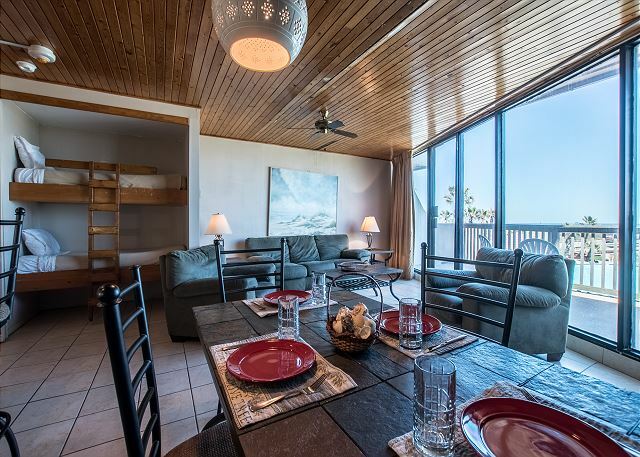 A beautiful view of the Gulf of Mexico over the dunes and a pool view from the living room, dining, kitchen and balcony of this Beach Front Condo awaits you. And you are far enough away from the pool area to mitigate pool noise. 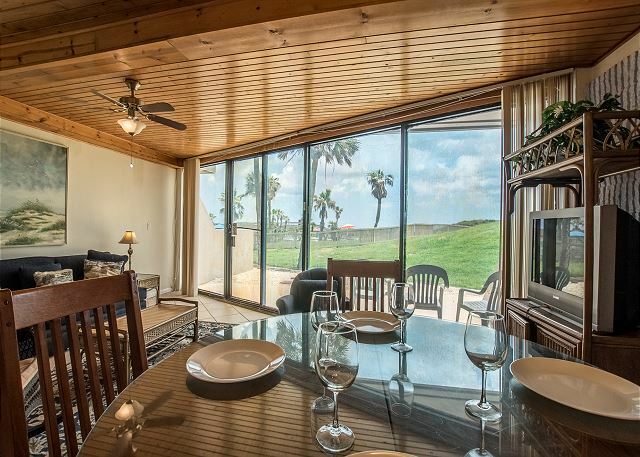 A beautiful view of the Gulf of Mexico over the dunes from the living room, dining, kitchen and balcony of this Beach Front Condo awaits you. 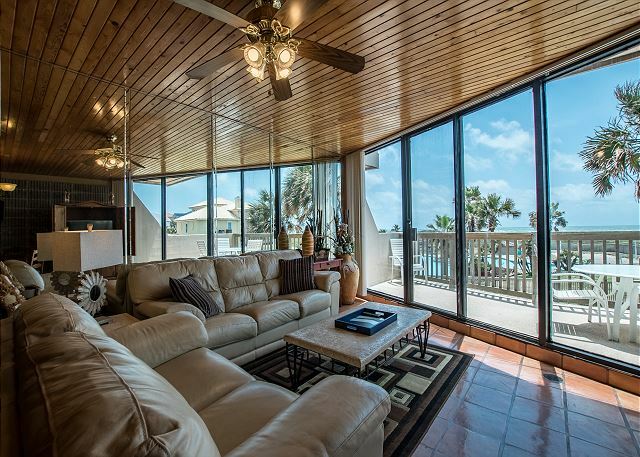 You are far enough away from the pool area to mitigate pool noise while enjoying gulf views from your patio. Beautiful view of the Gulf of Mexico and pool. It offers a King Bed in Master Bedroom. Bunk Beds built into the living room. Sofa Sleeper.DVD Player. Breathtaking view of pool and ocean. Large Jacuzzi tub. 212 Mayan Princess is a one-bedroom condo on the second floor. A view of the pool and gulf view.King Bed in Master Bedroom. Bunk Beds built into the living room. 20 inch TV in Master Bedroom. 22 inch TV in Living Room. DVD Player. One bedroom condo rental with a pool and gulf view. King Bed in Master Bedroom. Bunk Beds built into the living room. 19 inch Flat Screen TV in Master Bedroom. 36 inch Flat Screen TV in Living Room. DVD Player. Stereo. 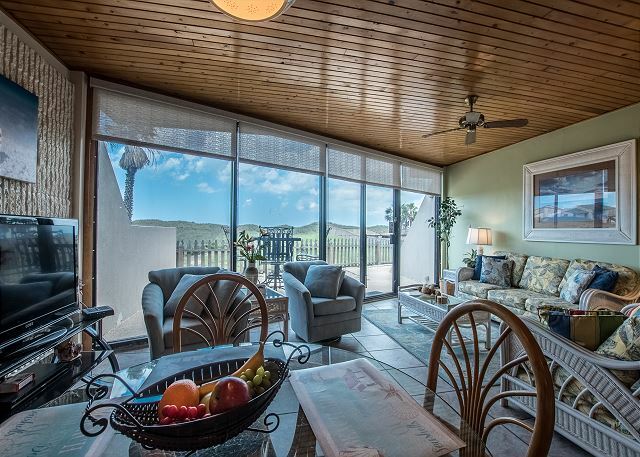 Beautiful one bedroom vacation rental on second floor overlooking the ocean and the three beautiful lagoon style swimming pools. This beautifully decorated condo has a king size bed, two bunk beds; a full service kitchen w/breakfast bar. This is an ocean and pool view one bedroom condo located on the beach. King Bed in Master Bedroom.1 sofa sleeper in living room. 2 bunk beds built into the wall in living room area. Tile throughout. TV DVD/VCR in living room.